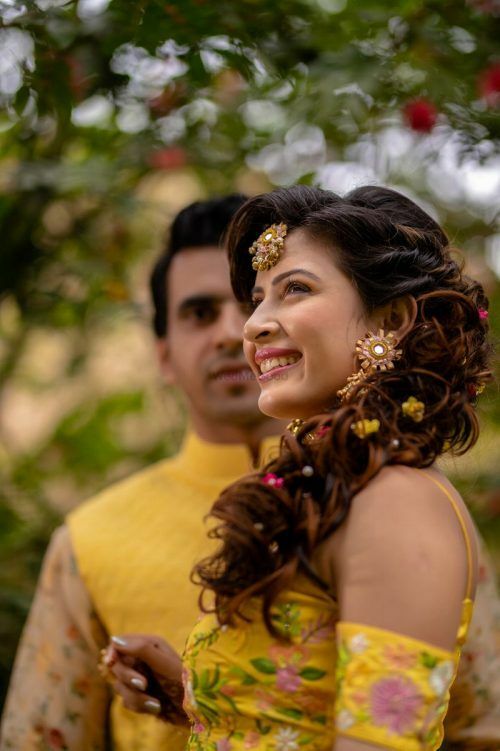 So when it comes to bridal hairstyles, the Mehendi hairstyle is the most fun, since you can flaunt all you've got, and most of them are just so Insta-worthy. Nowadays anything is possible with the power of hair extensions, so whether your hair is short or long, doesn't really matter much. 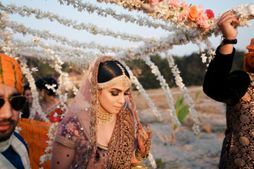 The bridal bun might be gorgeous, but at the end of the day, the dupatta mostly does come over it. 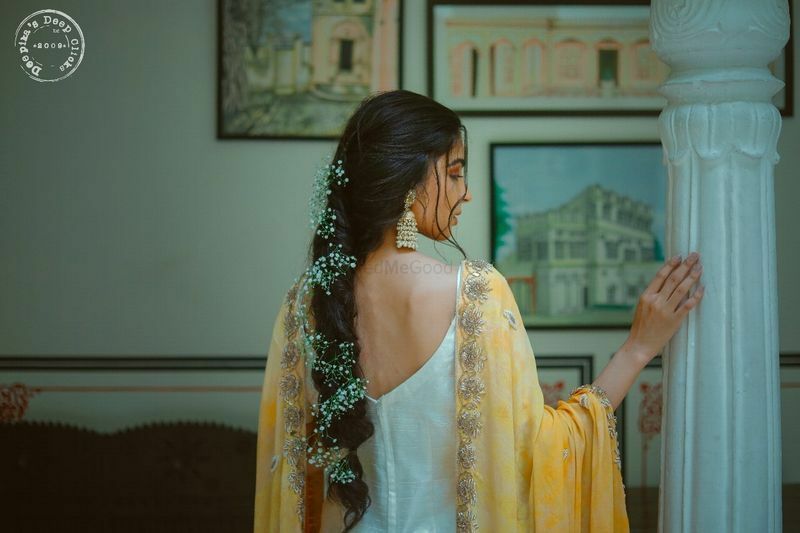 So here are some absolutely gorgeous mehendi hairstyles we came across on real brides, which are so trendy and totally on point, and not to mention, Insta-worthy! This one with the bun and Greek-style floral wreath! 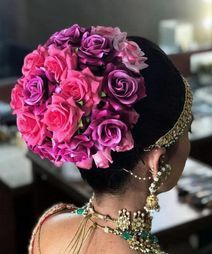 A bun with a floral Greek-style wreath- simply brilliant we say! A fishtail braid that's always pretty! 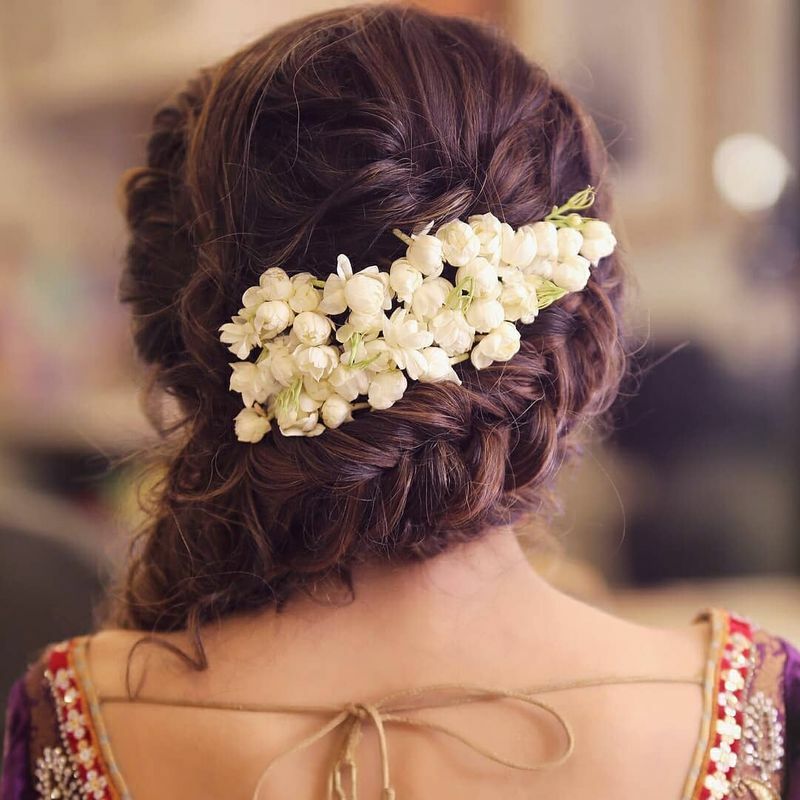 A fishtail braid with baby's breath or florals is something you can hardly ever go wrong with! Or this one with the dispersed baby's breath! If you don't like too much of it, dispersing the baby's breath is also a great idea which looks nice, but not OTT! This one that's so classy with the accessory! 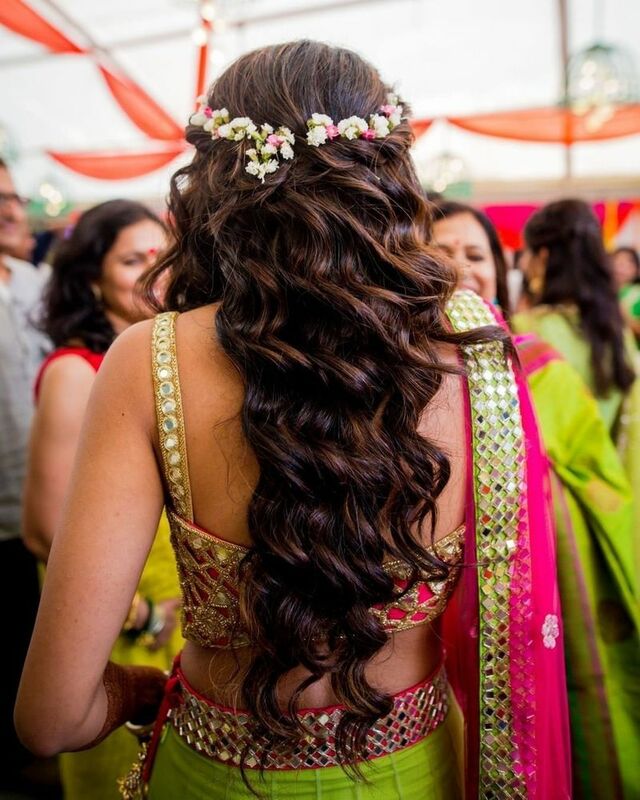 This one is for brides who have gorgeous hair already, and something like this accentuates the beauty of it more! 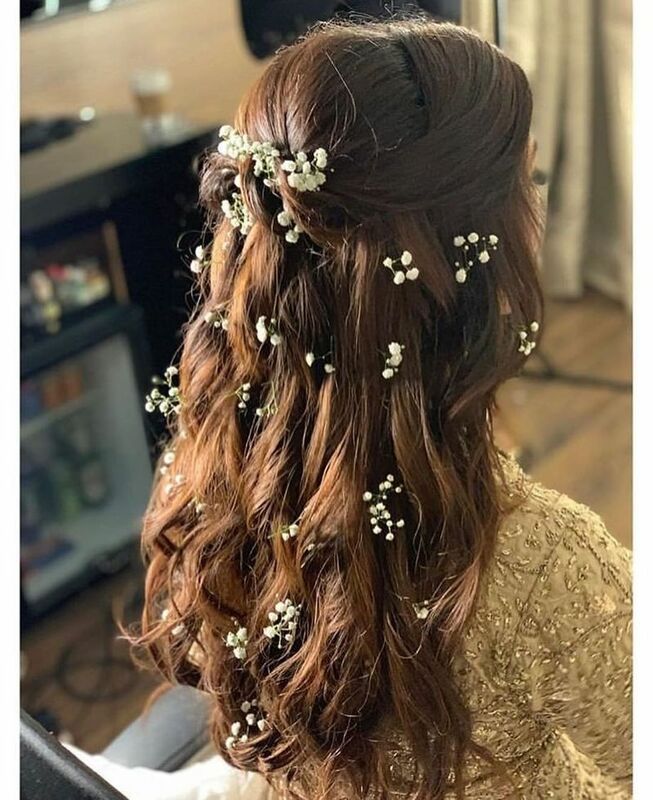 This one with the curls, braids and baby's breath bunches! 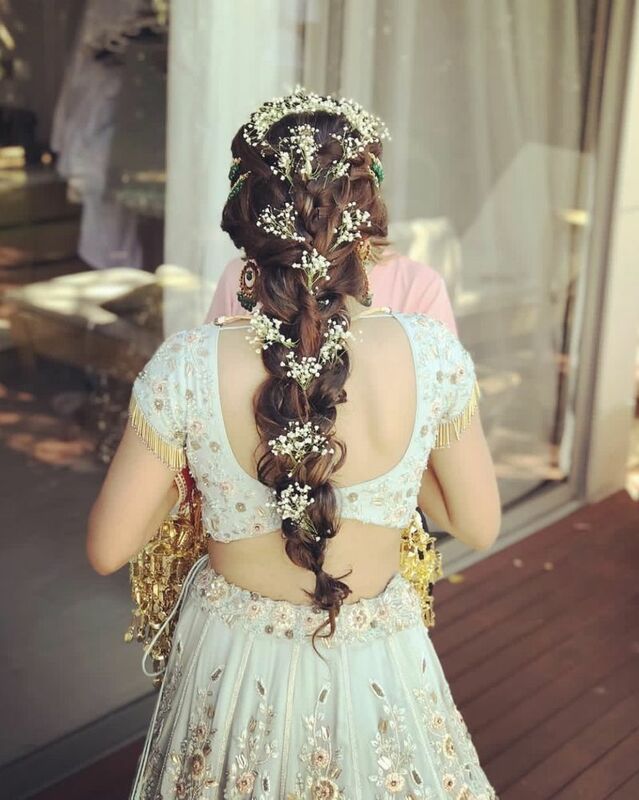 The curls, the braid in the centre and round the crown and the bunches of flowers- this one is so pretty! Or a princess braid that looks so fancy! Oh that first photo, and such a pretty trending hairdo! 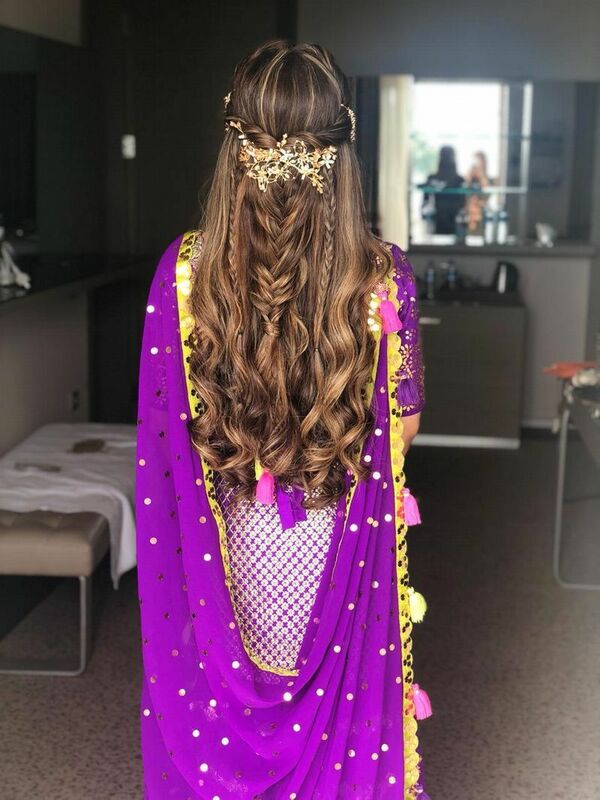 A princess braid is an amazing idea if your lehenga or outfit has those feels, and this bride nailed the look! 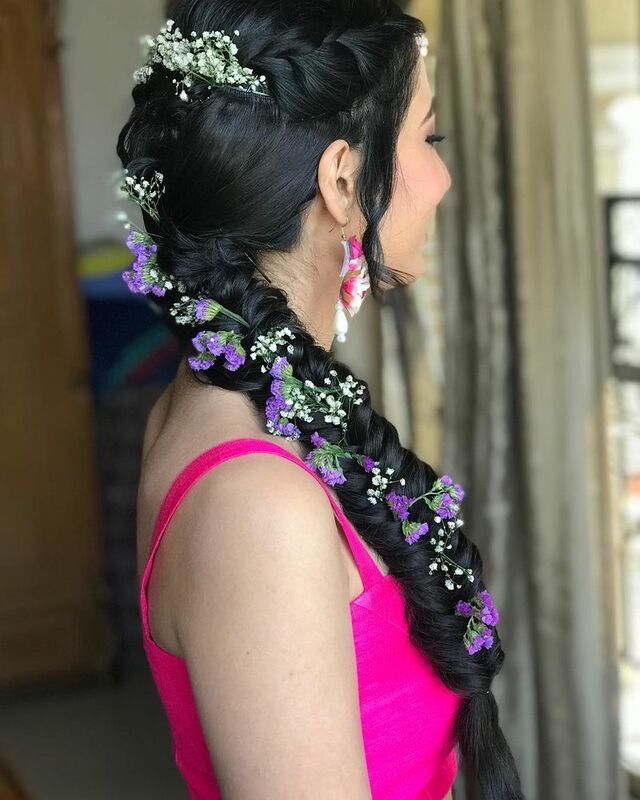 A floral wreath with a ponytail or open hair! Simple, not too OTT, but still happy happy! Or this one with a pop of colour! 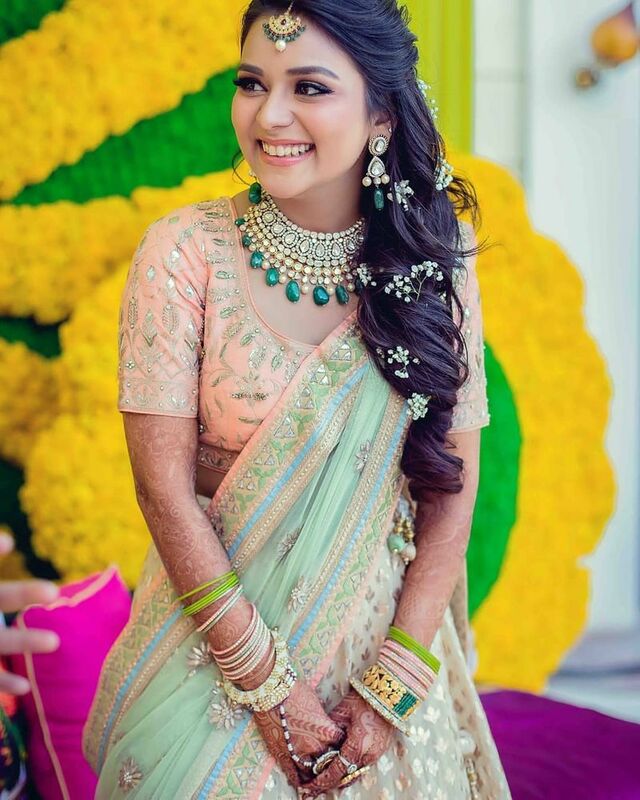 If you want to add some colour to your mehendi look, then picking matching or contrasting flowers is also a great idea! Cascading florals that look magical! 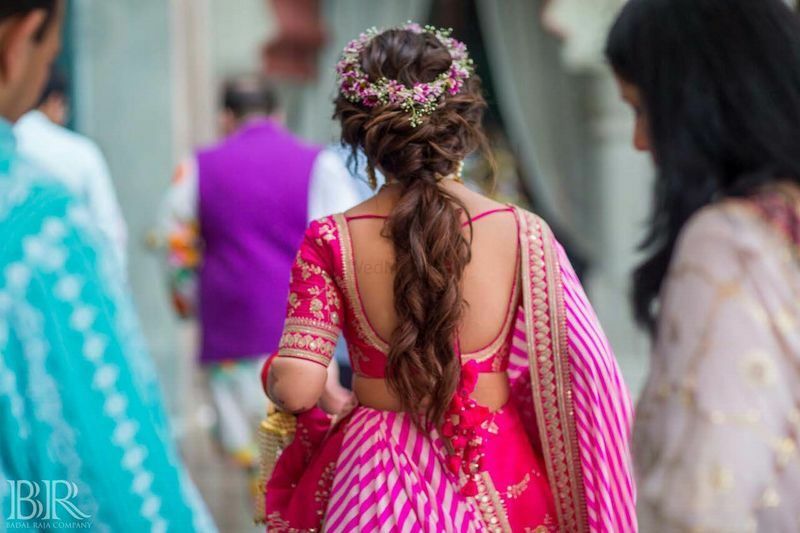 Sonam Kapoor's Mehendi started this new trend, and it's surely not dying down any time soon! 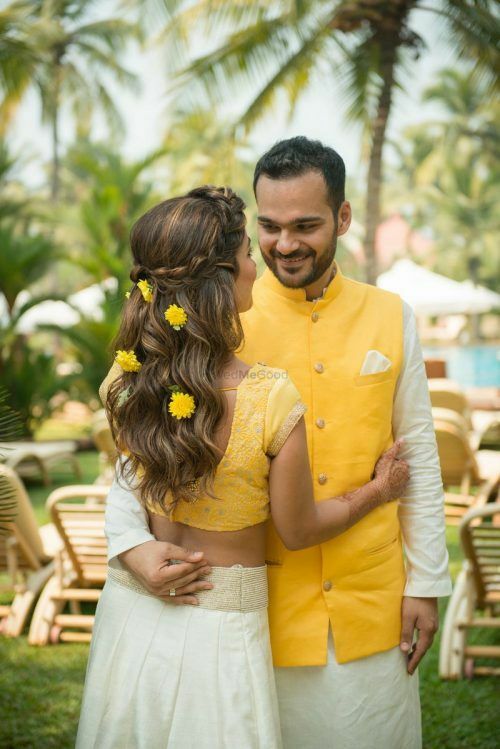 Cascading braids can even be tried with marigolds, which look so happy and bright for Mehendi or Haldi! And they can be used in so many shades and so many ways! Or a simple gajra done differently! 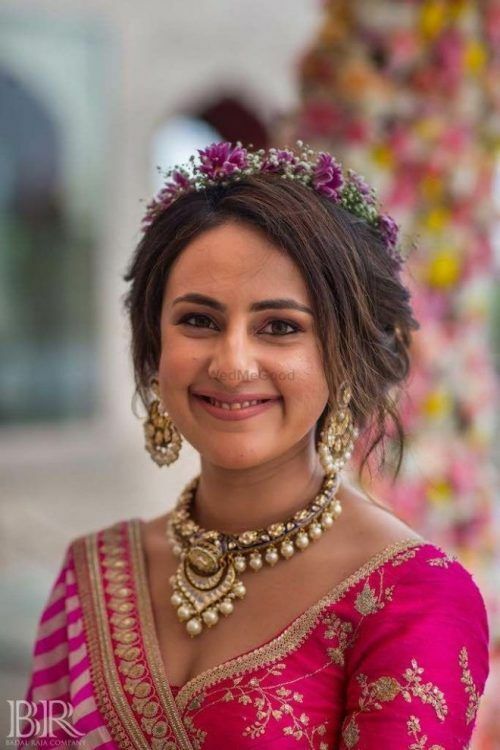 A gajra is something that's a classic, and can never go out of style! 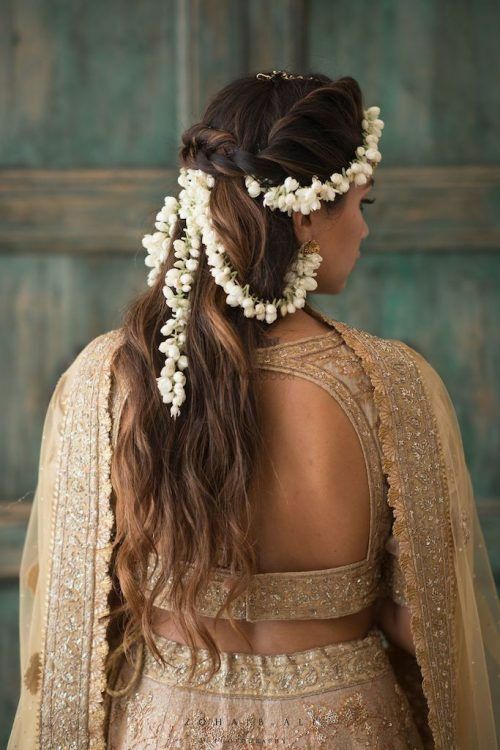 Add a touch of the traditional by incorporating it into your look! 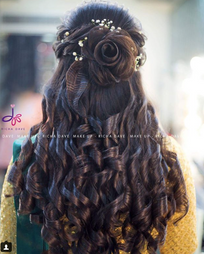 Are you looking for hairstyle ideas for your engagement, then dont forget to check our article on the same. While you are at it also check out which hairstyle suits the best on your face shape. 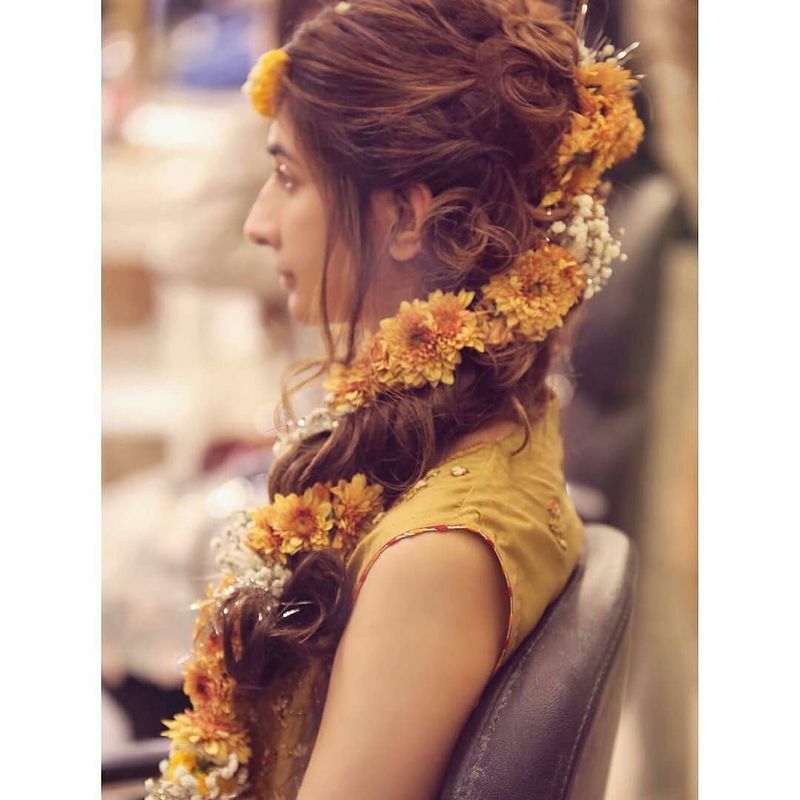 ALSO READ: The Latest Hairstyles With Flowers For Your Mehendi Look! 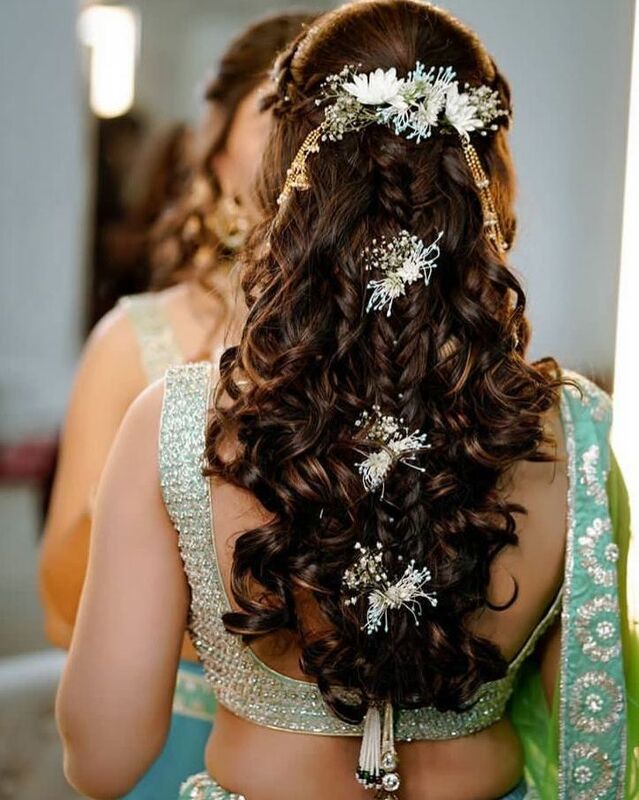 From Soft Curls To Disney Princess Hairstyle, We Spotted These Pretty Bridal Hairstyles on WMG! 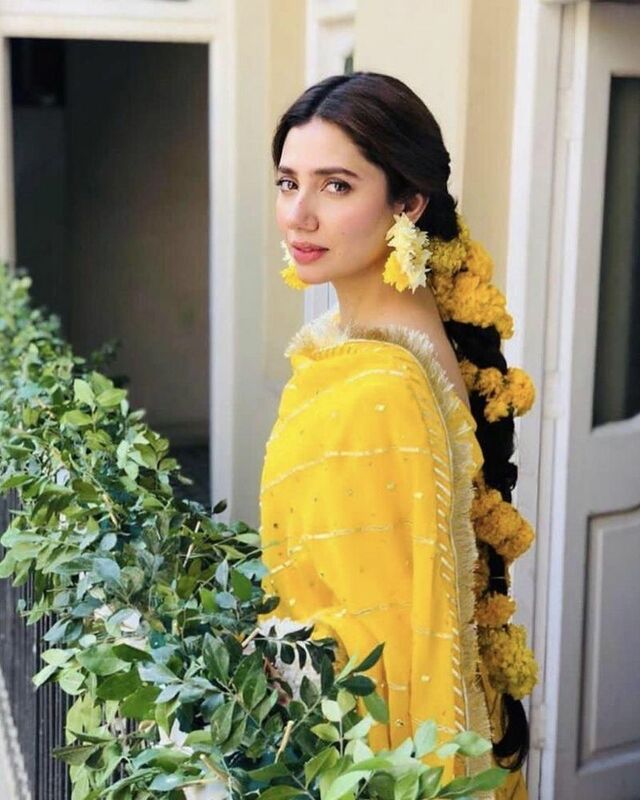 This New HairStyle Will Rule Mehendis In 2018! 30+ Stunning Floral Bridal Buns We Spotted On Real Brides! 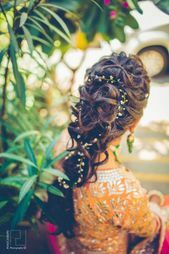 The Best Bridal Hairstyles We Spotted in 2017! 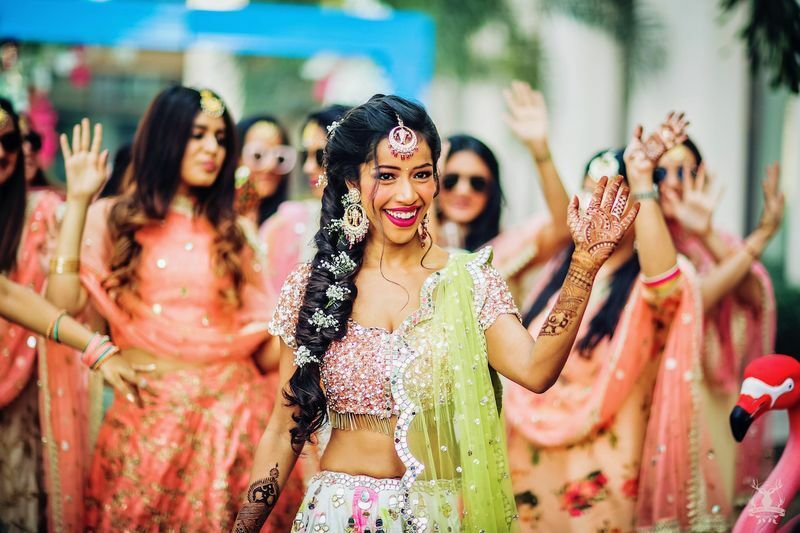 3 Amazing New Bridal Mehendi Trends We Spotted! 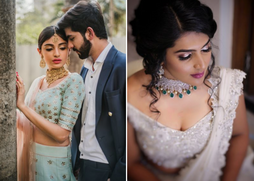 Best Engagement Makeup Looks We Spotted on Real Brides! 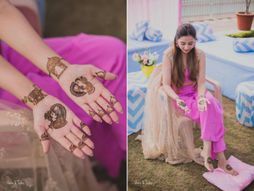 The Best Mehendi Designs We Spotted on 2017 Real Brides! The Most Stunning Makeup Looks We Loved On WMG Brides! The Best Materials For Safas!